Alistair began his IT career as a COBOL programmer but found his inner geek when he moved into Computer Wholesale in the mid 1990’s. After running a successful hardware importing company and managing the technical department of another wholesale company he decided to refocus his efforts on infrastructure management which is where he stumbled across Document Management. During his tenure at his first proper ECM company and after assisting in securing a lucrative government contract he found his passion in Opentext’s Livelink and honed his skills in Knowledge Management and Enterprise Content Management. Alistair has been exposed to various products including FYI, K2, FileNet, Documentum, Hummingbird and has intimate knowledge, working with Ascent Capture, Alfresco, Zylab, Meridio and Adobe Enterprise suite. Eventually he settled on specializing in Microsoft’s SharePoint. He has worked in various capacities in multiple verticals from retail – manufacturing to government, spanning 50 to 15000 users utilizing all aspects of pure Enterprise Information Management. 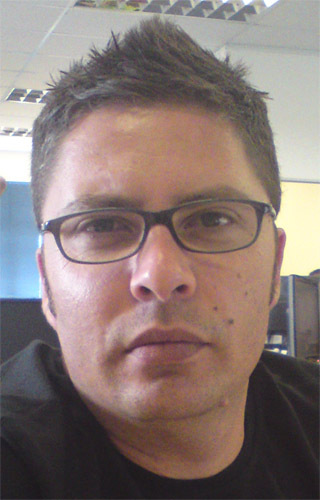 His current position as a SharePoint Evangelist in Cape Town, South Africa, provides him with a mechanism to assist companies with architecting their SharePoint environment using “best of breed”, proven methodologies to foster innovation and growth through an ECM framework while incorporating a Knowledge Management strategy. It is with this vision that he strives to provide customers with a platform for Business Productivity Enrichment, establishing communities of practice through proper analysis and building a knowledge economy that is both quantifiable and achievable. 15 years of experience covering the full spectrum of Information and Communication Technologies makes him unique in his approach and capabilities, being able to architect an end to end solution for businesses. He suffers from Technophilia, is a geek at heart and an avid gamer (AND LAN’s with his kids at home way too often! ).